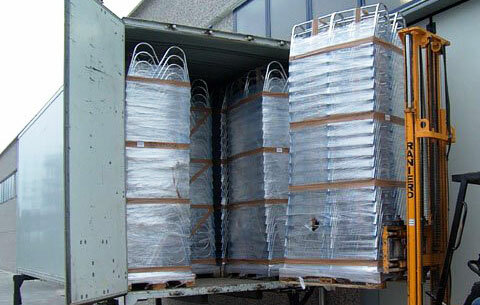 All our manufactured articles are checked individually one by one, by our specialised staff and packed on EUROPALLETS (120X80). (By customer request we can use special pallets). Our company is in business with a foreign courier: Delivery ex works. La nostra ditta lavora in collaborazione con trasporti esteri e di solito franco fabbrica.